...It's a very good place to start. I wasn't sure about this one from John H when I first saw it, but its authenticity appears to be entirely genuine. It was unearthed by Melissa Harrison (@M_Z_Harrison) the other day at Gladstone's Library in Hawarden, North Wales. 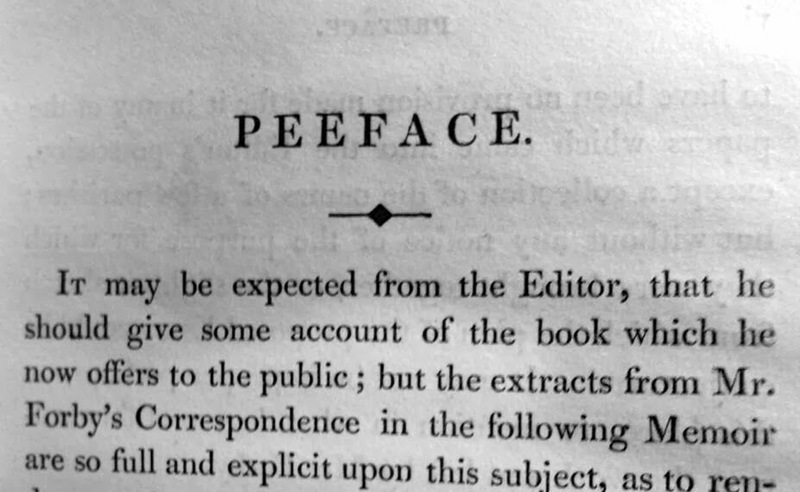 She found it in a copy of a book published in 1830 entitled, believe it or not, The Vocabulary Of East Anglia: An Attempt To Record The Vulgar Tongue Of The Twin Sister Counties, Norfolk And Suffolk by The Late Rev Robert Formby. Here's to you, Rev Rob. Your book couldn't have started more aptly.